So where to start? Well, first off I guess I should talk about how I started to make games. Back in 2013 I discovered Game Maker Studio and instantly fell in love. 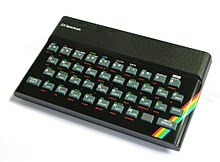 I had always dreamed of making my own games, but not being really mathematically inclined I was always instantly frustrated when I tried to learn to code – about the furthest I ever got was a text-based 2-option ‘action’ game on the ZX Spectrum; something like: “You’re flying in an aeroplane, you see a mountain peak up ahead, press R to go right or L to go left.” As you can imagine – that game was no fun at all! Anyway – fast forward to 2013 (I think!) 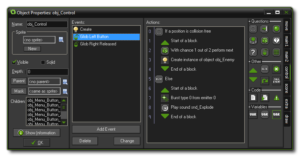 and I discovered Game Maker Studio, a tool which using a drag-n-drop system allowed me to build games without a line of code! – of course, these games also sucked, but slowly yet surely, I was being introduced to coding in GML – and that allowed me to make games which I could actually feel proud of – and somehow, as if by osmosis, I’d gone from dragging icons to typing pages of code without realising. Unity is a far more powerful tool – but if you’re a real beginner then I think Games Maker Studio is a much easier pace to start. 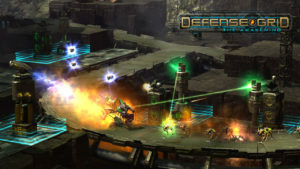 It was also around 2013 that I was introduced to the world of Tower defence, I’d always enjoyed RTS games – especially the base building aspect, so when TD games started to get big I really fell in love with them. There are too many to mention really – but one VERY big influence was Defense Grid – I’d played a few TD games before – but that one really blew my mind. So, after falling for the TD genre, and simultaneously falling for the ability to code my own games, there was only one thing to do – and that was to make my own Tower Defence game! Once I knew the genre I wanted to go for the game went through multiple iterations, styles, looks, sounds, but eventually I settled on the current look, inspired by childhood favourite TRON. Little did I know at the the time that the Indie movement was about to go full on Retro – and that my game, at least aesthetically, struck a chord with exactly the kind of style which players are looking for. That was really a stroke of luck – or perhaps destiny – after-all – I’m passionate about 80s games from my childhood, and the 80s retro-future look, it makes sense that other people also share those passions. 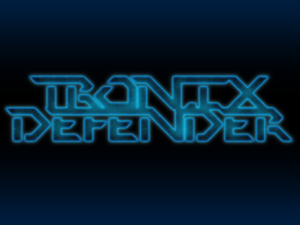 Anyway – I think I’ve babbled on enough for now – there’s plenty more to see on Tronix Defender on this site ( shokizm.com) or on the main Tronix page, tronixdefender.com.